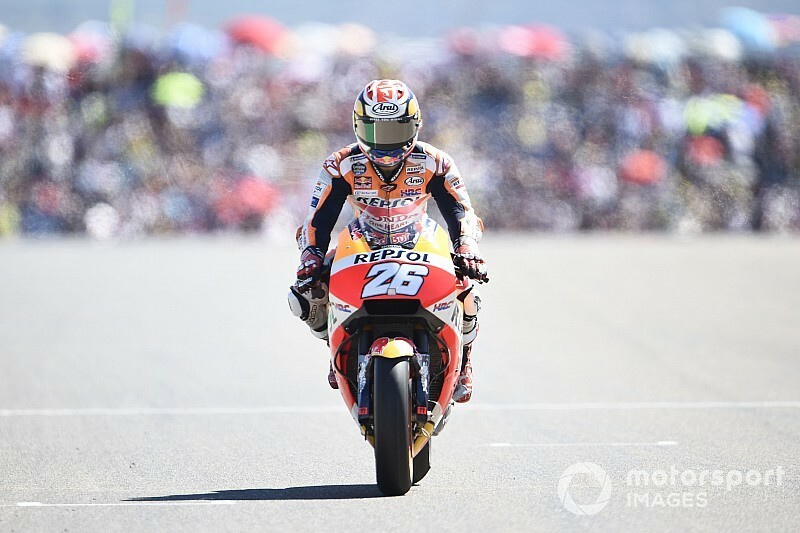 Honda MotoGP rider Dani Pedrosa believes he could have fought for victory at Aragon had he picked the soft rear tyre, which was used by teammate and eventual winner Marc Marquez. 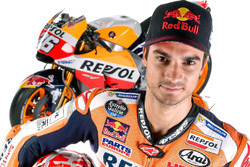 Pedrosa, currently on course for his first winless season in the premier class, posted his best result in over three months with fifth place in the Aragon Grand Prix, in which he finished 5.3s off Marquez. Despite the heavy rate of tyre consumption at Aragon, Marquez gambled on the soft rear compound, a choice that the championship leader believes enabled him to take the fight to Ducati's Andrea Dovizioso. Pedrosa, who stuck with the hard rear, regretted not taking the risk that propelled his teammate to victory. 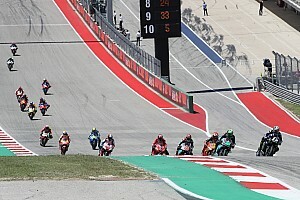 “I think today in the race everything was quite well, we were able to start with the front group and i was able to do some passing, but unfortunately the hard rear had no grip,” Pedrosa said. “After the Moto2 race, the asphalt wasn't that grippy, and I had so much spin and so much slide going into the turn with the rear. 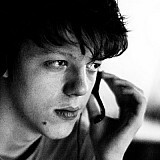 “Looks like the soft might be the good option. 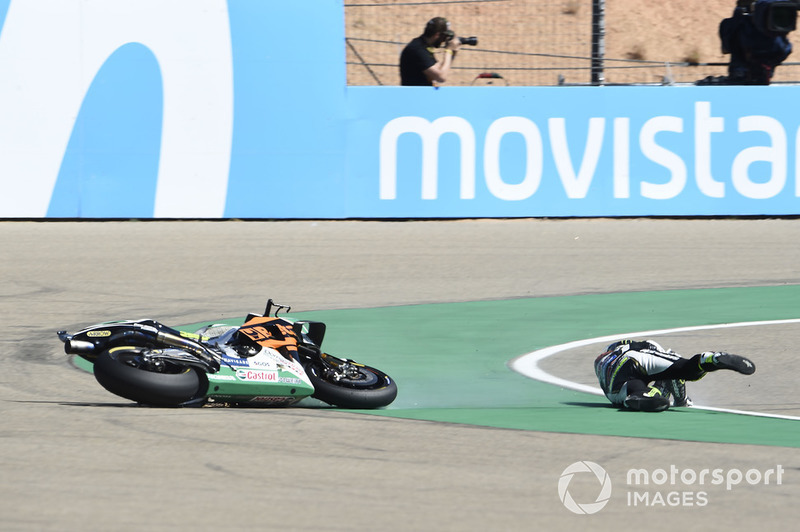 Sure, at the end with the soft you have manage a little bit the tyre but with the track conditions after Moto2 I think [it] was a better match than the hard. 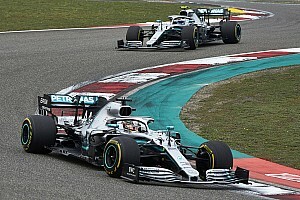 “I was unable to carry the corner speed and the acceleration out of the turns with the hard, and that make me lose a bit of the gap per lap that I was unable to stay in the [lead] group. 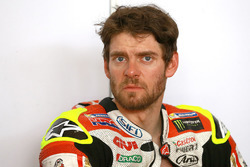 LCR Honda rider Cal Crutchlow, who ran the hard rear and crashed out of seventh place after four laps, was likewise left doubting his tyre choice. 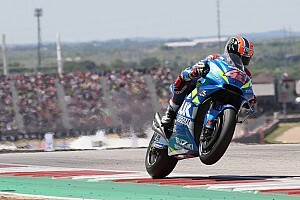 “I think in hindsight if you look at it, the people who raced the hard rear tyre made the wrong choice because three of the top four [Marquez, Andrea Iannone and Alex Rins] were on the soft rear,” he said. 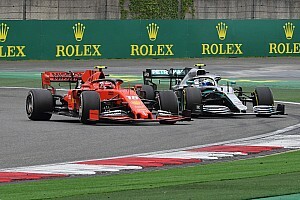 Nevertheless, the Briton believes he could've been on for a good result if he wasn't held up at Turn 1 by Jorge Lorenzo's crash, which then forced him to push to keep the leading pack in sight. “I had to come from too far back,” he said. “I knew that in the next three laps I had to clear Aleix [Espargaro] and Dani to have a shot at the podium, but Aleix was hard to pass because he was running the soft tyre, just couldn't get the drive. “I felt good with the bike, the tyres were working well, just got into Turn 1 probably no different than a lap before, I just snapped a little bit with the rear and slapped down. “I think it was something [to do with] the position I was in, with the front tyre getting a bit hot. I never had great grip, but I never really had any warning as such.